I had a client ask yesterday what I believe to be the long term risk associated with investing in retail commercial real estate. Let’s ponder that question as it relates to the four major asset classes. 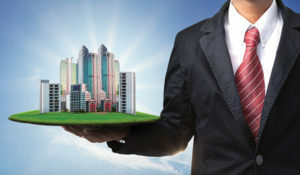 In an earlier post, “Time to Sell Functionally Obsolescent CRE?” the discussion focussed on what could be considered owner occupant type assets. For the purpose of this overview, we’ll assume that the real estate is current and relevant. The somewhat commonly held belief is that e-commerce will decimate bricks and mortar merchants. It is true that the year over year consumer trend has been to a move to online shopping and that trend will continue. But when will it taper? Can the bricks and mortar retail merchant reinvent themselves and survive? As video rental stores emerged, the commonly held belief was that the movie theatre was dead. As you know that did not turn out to be true. We are social animals and the movie industry knew how to capitalize on their strengths. Today we see many new theatres under construction across the country. I believe the retail industry will too find their way. Feet on the street merchants will find a creative solution to bring their customers back to the store. We have already witnessed a reduction in corporate office requirements. The forecast is for a further 25 per cent reduction in office space use by 2020. This means we need to take the old forecasting tools which predict office absorption as a percentage of population growth and recalibrate. Two of the main factors contributing to this consolidation is the trend towards mobility and a reduction in square footage per employee. There are already studies that confirm the negative impact on productivity that occurs with increased employee density. The pendulum will swing back to a more reasonable ratio which will help the office sector. Plan for slower growth and demand for space that focuses on the well being and health of the employee. The negative shift from bricks and mortar retail has had a positive effect on industrial real estate. The goods have to be stored somewhere and this sector has been the beneficiary in some regions. All of the market factors such as the economy, supply and demand will play a role in the long term viability of industrial real estate. I predict stability for this sector, especially in large urban, regional centres. Although it can be subject to significant swings in vacancy, multi-family is sometimes referred to as the most stable out of these four asset categories. There is inherit financial security in the diversity of tenant base. Put simply, we will always need a place to live and there will always be those who prefer or need to rent. When the supply of condos which are intended for purchase is too high, the common practice can be to roll them into the rental market. This can happen quickly and cause financial pain for over leveraged investors. The moral of the story is diversity. Diversity in asset class as well as geographical diversity. No matter how much we think we know, there are always new curve balls to make life interesting! Did you notice Sears no longer has a catalogue?